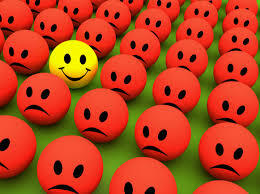 Mr Draghi, what are you afraid of? Deep in a vault in the headquarters of the European Central Bank (ECB) lie #TheGreekFiles, a legal opinion about the ECB’s actions towards Greece in 2015 that could send shockwaves across Europe. As a European taxpayer, you paid for these documents. But the ECB’s boss, ex-Goldman Sachs head Mario Draghi, says you can’t see them. So former Greek Finance Minister Yanis Varoufakis and MEP Fabio de Masi, together with a broad alliance of politicians and academics (below), have announced they will file a mass freedom of information request to the ECB to uncover #TheGreekFiles once and for all. If Mario says no, they’ll take the campaign to the next level, and consider all options – including legal action – to make this vital information public. 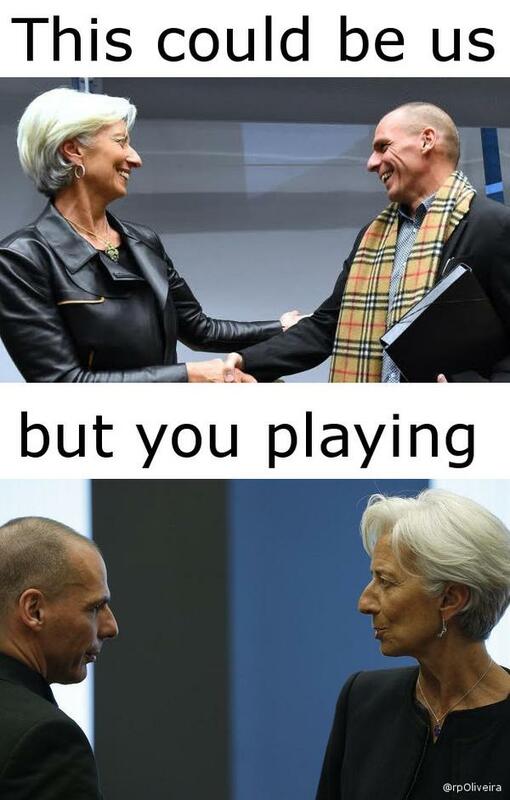 #Grexit2017 and the Single Currency Epidemic @yanisvaroufakis -Greek to me ! 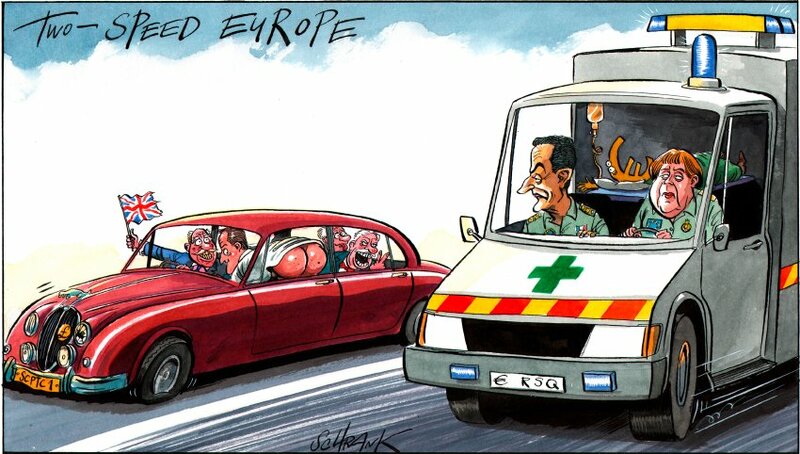 An “epidemic” washing over other European countries may see the end of the EU, warned Yanis Varoufakis, Greece’s former finance minister in his interview to be shown by Al Jazeera TV on Sunday February 12. #Grexit in a bottle, Yay… “Zum Wohl”, such a #moodhack! #Grexit in a bottle, Yay… “Zum Wohl”, such a #moodhack!. Tsipras had traveled to Russia as his country struggles to reach a deal with its creditors for new loans it needs to avoid defaulting on debt payments at the end of the month. Without the bailout, Greece could be headed for bankruptcy or an exit from the 19-nation eurozone. 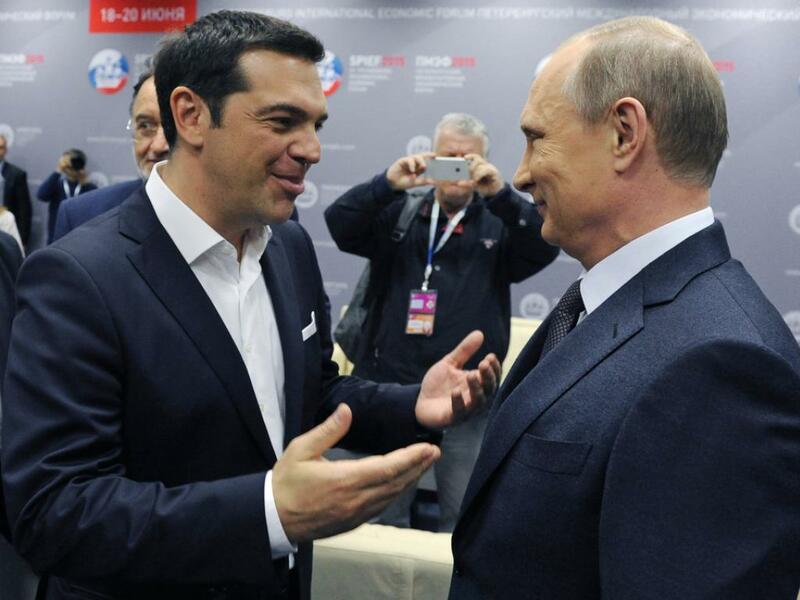 Tsipras’ visit gave rise to speculation that the Greeks may be seeking Russian loans – and ahead of the talks, Putin’s spokesman said Russia would consider a loan if the Greeks asked for one. “We would do this because they are our partners and this is a normal practice between countries who are partners,” spokesman Dmitry Peskov told The Associated Press. Russian President Vladimir Putin, Greek Prime Minister Alexis Tsipras, Chinese Vice Premier Zhang Gaoli, among the many speakers at a Russian economic summit on Friday, spoke about ways to boost international trade, bolster global economic growth and the strengthening of the BRICS bloc.The BRICS capitals share key economic interests and oppose what they claim to be a US-dominated world order. 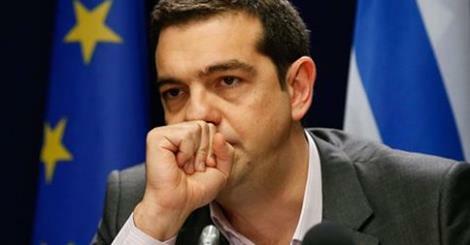 Greek Premier Alexis Tsipras noted that “economic centers of the world are shifting”. “The economic center of the planet has shifted. There are new emerging forces that are playing a more important role geopolitically and economically. International relations are more and more characterized by multi-polarity,” said Tsipras. “Enhanced cooperation among the BRICS countries is another manifestation of the new world order at the moment,” he added. Prime Minister Alexis Tsipras on Friday said in his address to the International Economic Forum in St. Petersburg. Tsipras referred to the concurrence saying that the European Union must find again the way by turning back to its institutional principles and values. With an obsession to policies of austerity that intensifies the recession, this is impossible. The so-called Greek problem is not a Greek problem but a European one. 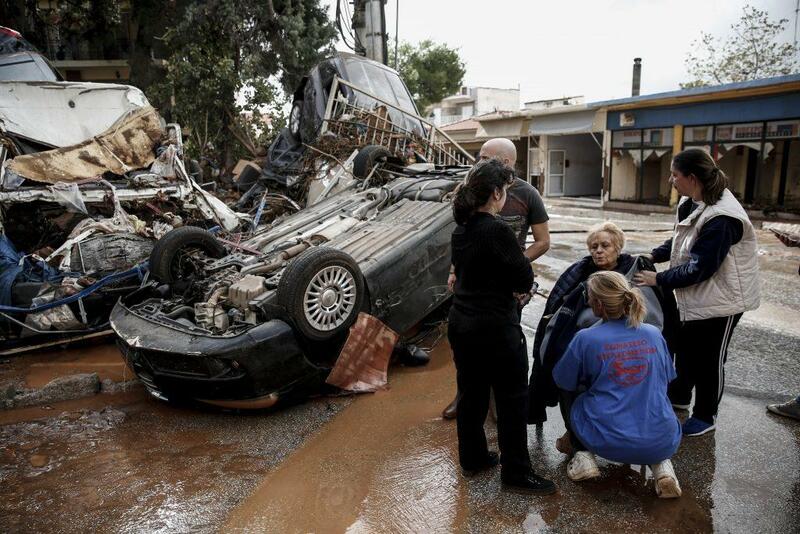 The problem does not bear the name Greece but eurozone. The issue is whether the eurozone will give ground to growth and to solidarity. The Greek prime minister also said that Greece continues to be a pillar of stability and safety and seeks to become a cooperation bridge and hub of trade, cultural and financial exchanges on the crossroads of three continents. We will seek to become a cooperation bridge with traditional friends as Russia, and to develop cooperation with new friends. Tsipras’s visit has given rise to speculation that the Greeks may be seeking Russian loans. He meets with Russian President Vladimir Putin later Friday. “We will support any decision [on the Greek debt crisis] that is proposed by Greece and our European partners,” Deputy Prime Minister Arkady Dvorkovich said in an interview on RT television, the Tass news agency reported. 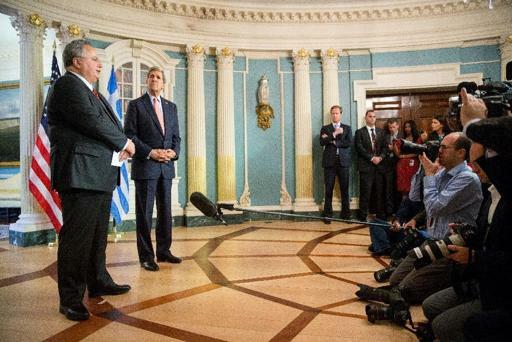 “The most important things for us are investment projects and trade with Greece. If financial support is needed, we will consider this question,” he said. Dvorkovich spoke after Russia and Greece signed a deal Friday to build an extension of a prospective gas pipeline that would carry Russian gas to Europe through Turkey. 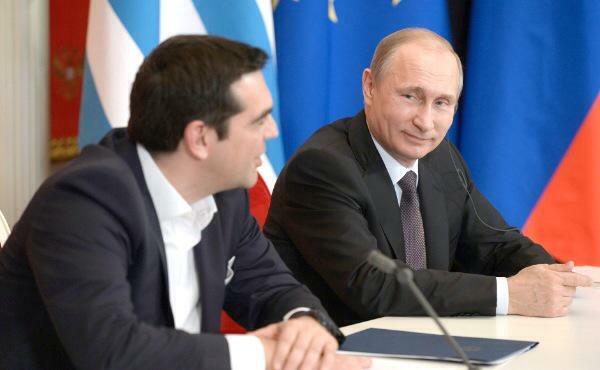 Russia promised Greece hundreds of millions of dollars in transit payments yearly if it agreed to build the pipeline. Construction of the pipeline is expected to start next year and be completed in 2019. Putin’s spokesman said it was too early to comment on possible loans. Ahead of the Friday meeting, Russian Deputy Prime Minister Arkady Dvorkovich said he “cannot comment on specific decisions” when asked if Moscow would rescue Athens. 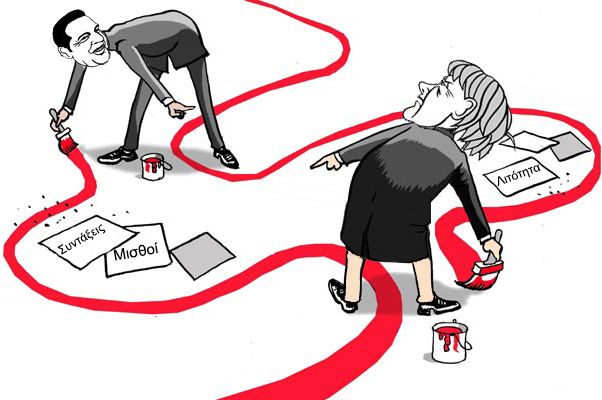 This puts German Chancellor Angela Merkel into a difficult spot. Her own conservative party, the German people, and bankers in Frankfurt have all made clear they don’t want to continue to pay for Greece if Athens doesn’t heed calls to reform. But she’s under pressure from Washington to maintain an alliance that won’t upset the apple cart when it comes to sanctions. 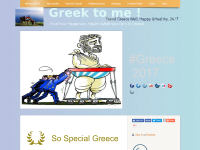 Visit our Deadlines and Red Lines Greek to me Page for the Greece’s Agreement or Not Critical Moments’ updates. 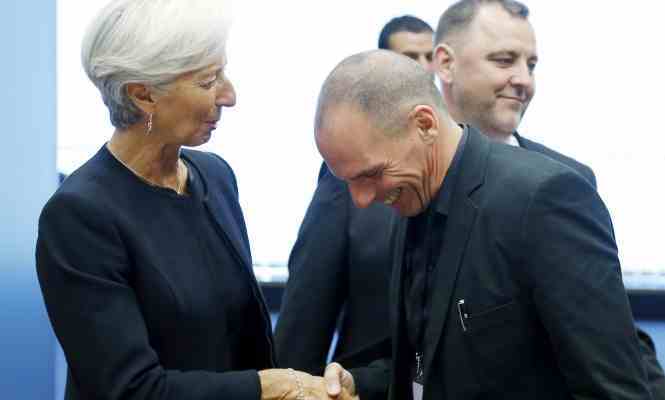 According to Brussels’ sources, Lagarde introduced herself on the June 18 eurogroup meeting to Varoufakis saying: “the criminal in chief comes to say hello”, referring to Prime Minister’s speech in Parliament couple of days earlier. The only antidote to propaganda and malicious ‘leaks’ is transparency. 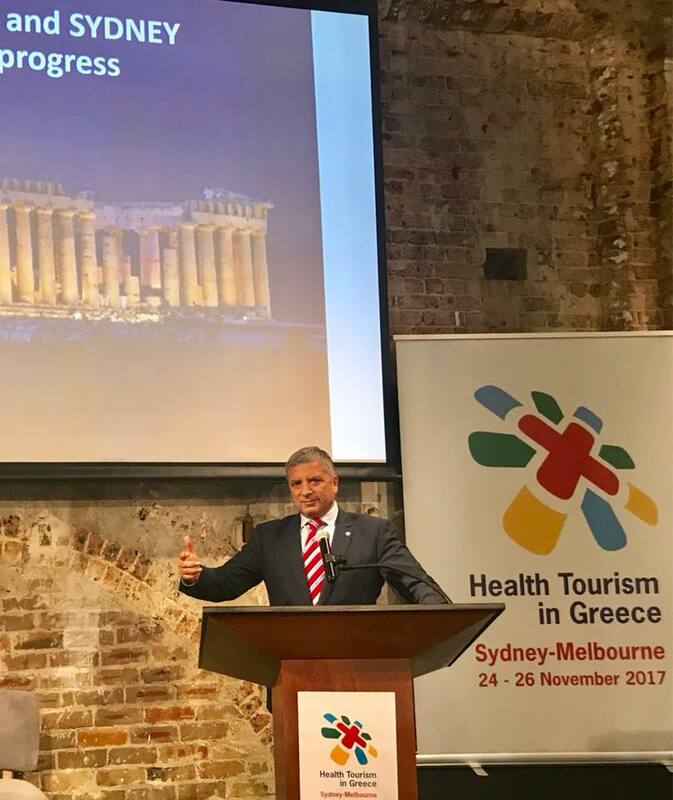 After so much disinformation on my presentation at the Eurogroup of the Greek government’s position, the only response is to post the precise words uttered within. Read them and judge for yourselves whether the Greek government’s proposals constitute a basis for agreement. 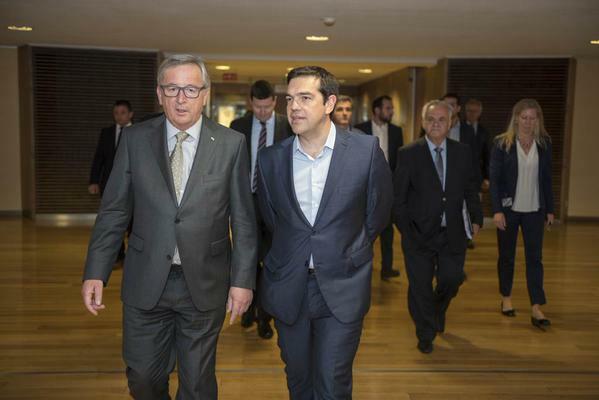 Realistic is only the Greek Proposal, said @atsipras after meeting with Juncker, in good climate discussion, though. Creditors had hoped, says Gkoten, that “that the more the noose would be tightenend, and ecnomic aspuxiation of Greece would be growing, the more Greek resistance would be reduced. But the opposite happened! (…) This tactical move of Alexis Tsipras is particularly smart. From here on, it is the one who puts the rules of the game …. , the author goes on . On 25th of last January, the Greek people made a courageous decision. They dared to challenge the one-way street of the Memorandum’s tough austerity, and to seek a new agreement. A new agreement that will keep the country in the Euro, with a viable economic program, without the mistakes of the past. 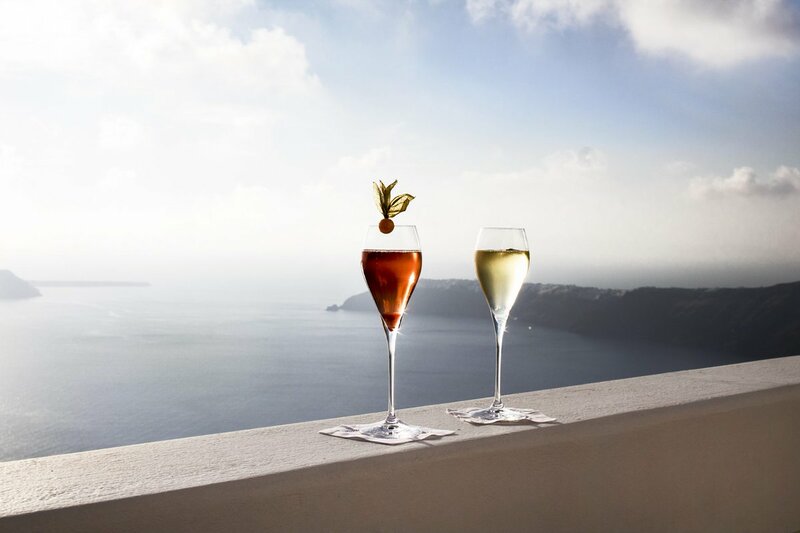 Greece became the EU country with the highest index of social inequality. Public debt soared from 124% to 180% of GDP, and despite the heavy sacrifices of the people, the Greek economy remains trapped in continuous uncertainty caused by unattainable fiscal balance targets that further the vicious cycle of austerity and recession. The new Greek government’s main goal during these last four months has been to put an end to this vicious cycle, an end to this uncertainty. 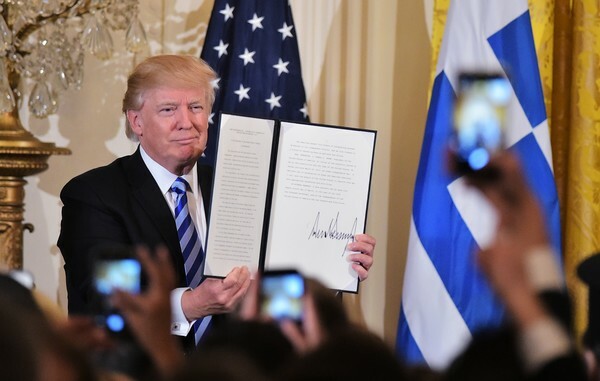 Many, however, claim that the Greek side is not cooperating to reach an agreement because it comes to the negotiations intransigent and without proposals. Because these times are critical, perhaps historic–not only for the future of Greece but also for the future of Europe–I would like to take this opportunity to present the truth, and to responsibly inform the world’s public opinion about the real intentions and positions of Greece. One of the key aspects of our proposals is the commitment to lower – and hence make feasible – primary surpluses for 2015 and 2016, and to allow for higher primary surpluses for the following years, as we expect a proportional increase in the growth rates of the Greek economy. Another equally fundamental aspect of our proposals is the commitment to increase public revenues through a redistribution of the burden from lower and middle classes to the higher ones that have effectively avoided paying their fair share to help tackle the crisis, since they were for all accounts protected by both the political elite and the Troika who turned “a blind eye”. From the very start, our government has clearly demonstrated its intention and determination to address these matters by legislating a specific bill to deal with fraud caused by triangular transactions, and by intensifying customs and tax controls to reduce smuggling and tax evasion. While, for the first time in years, we charged media owners for their outstanding debts owed to the Greek public sector. In other words, the oligarchs who were used to being protected by the political system now have many reasons to lose sleep. The lack of an agreement so far is not due to the supposed intransigent, uncompromising and incomprehensible Greek stance, but due to to the insistence of certain institutional actors on submitting absurd proposals and displaying a total indifference to the recent democratic choice of the Greek people, despite the public admission of the three Institutions that necessary flexibility will be provided in order to respect the popular verdict. 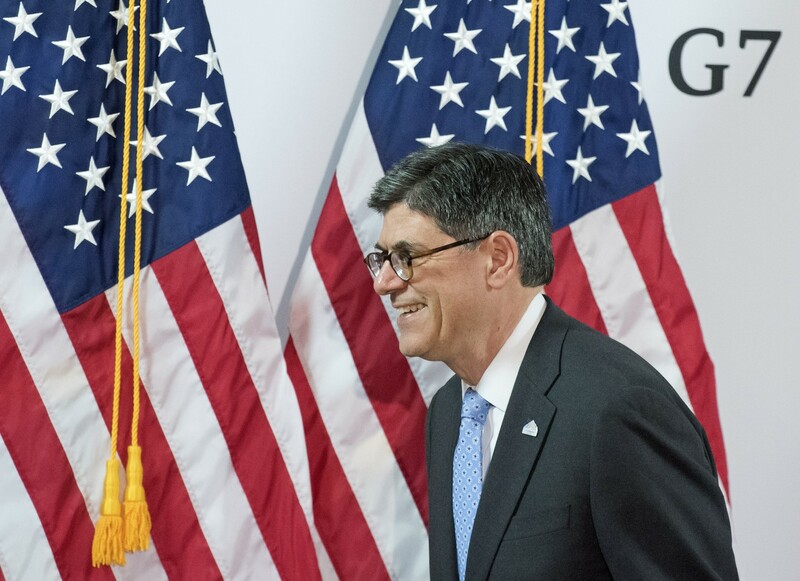 Speaking at the London School of Economics last week, Jack Lew fueled speculation with his “greater flexibility” comment that the U.S. was hintingthat the three financial institutions should renegotiate the terms under which they rescued Greece from debt and forced exit from the euro currency. Was Lew specifically referring to the IMF, Newsmax asked, and suggesting it might give Greece new terms for repayment before its latest installment is due by the end of June? Greece is the very epicenter of conflict between two diametrically opposing strategies concerning European unity and its future, the Greek PM in his article concludes; The first, that aims to deepen European unification , and the second that works for the beginning of the creation of a technocratic monstrosity that will lead to a Europe entirely alien to its founding principles. The first step to accomplishing this( second strategy version) is to create a two-spewo ed Eurozone where the “core” will set tough rules regarding austerity and adaptation and will appoint a “super” Finance Minister of the EZ with unlimited power, and with the ability to even reject budgets of sovereign states that are not aligned with the doctrines of extreme neoliberalism. For those countries that refuse to bow to the new authority, the solution will be simple: Harsh punishment. Mandatory austerity. And even worse, more restrictions on the movement of capital, disciplinary sanctions, fines and even a parallel currency. 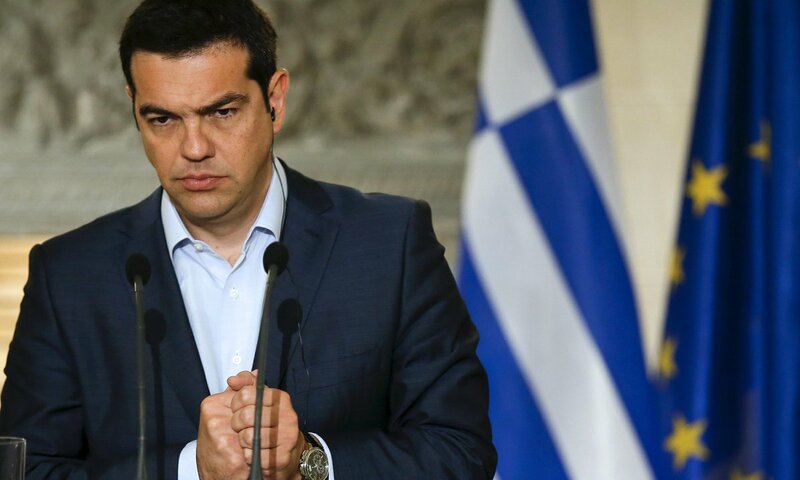 Europe, therefore, is at a crossroads Alexis Tsipras concluded . Following the serious concessions made by the Greek government, he emphasised, the decision is now not in the hands of the institutions, which in any case – with the exception of the European Commission- are not elected and are not accountable to the people, but rather in the hands of Europe’s leaders. For those who want to believe that this decision concerns only Greece, they are making a grave mistake. I would suggest that they re-read Hemingway’s masterpiece, “For Whom the Bell Tolls”. 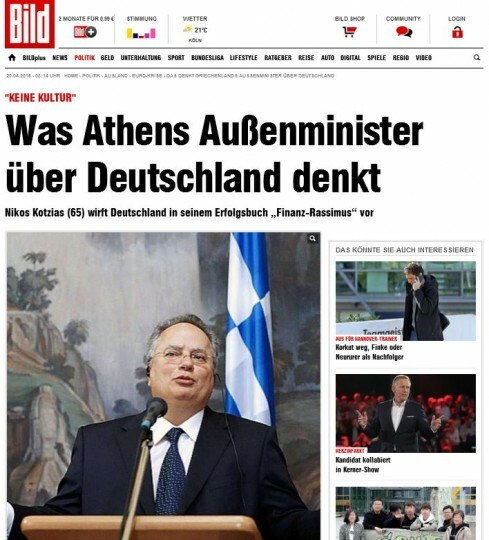 Greek Foreign Minister Nikos Kotzias said talking to Reuters on Friday April 24, that he respects Germany but not the German politics, nor does he respect the way Berlin views Greece’s economy, which faces the prospect of running out of money if it cannot agree to new bailout terms with creditors. 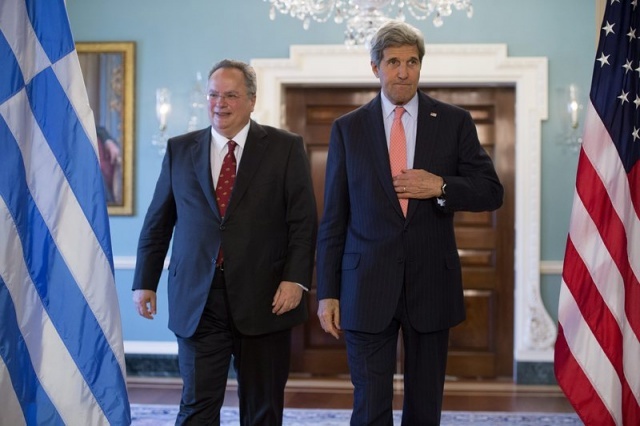 “Do they want to support us to have growth… or do they decide to have Greece struggle, to punish Greece and to create an example of what happens to a country that has a left government,” Kotzias said at the end a four-day visit to Washington and New York. German Chancellor Angela Merkel said in Brussels on Thursday that everything must be done to prevent Greece from going into bankruptcy. However, Friday’s meeting of euro zone finance ministers in Riga brought a stark warning to Athens that the new elected government will get no more aid until a complete economic reform plan is agreed. 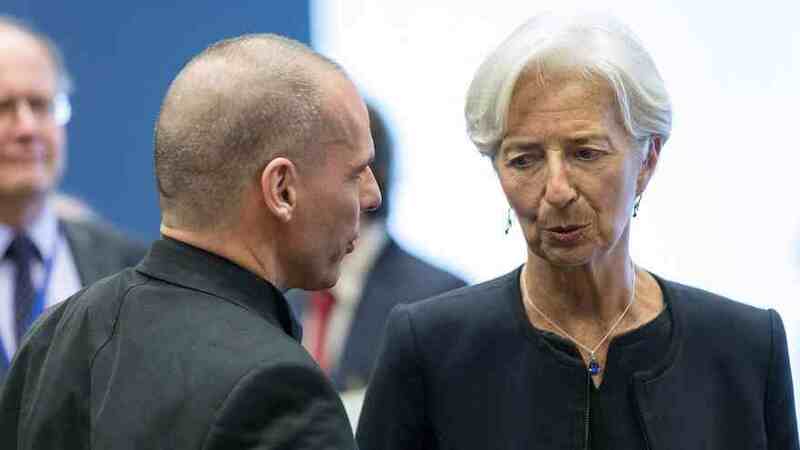 “So you are not giving a solution to Greece, you press the Greek government? What can be the solution? 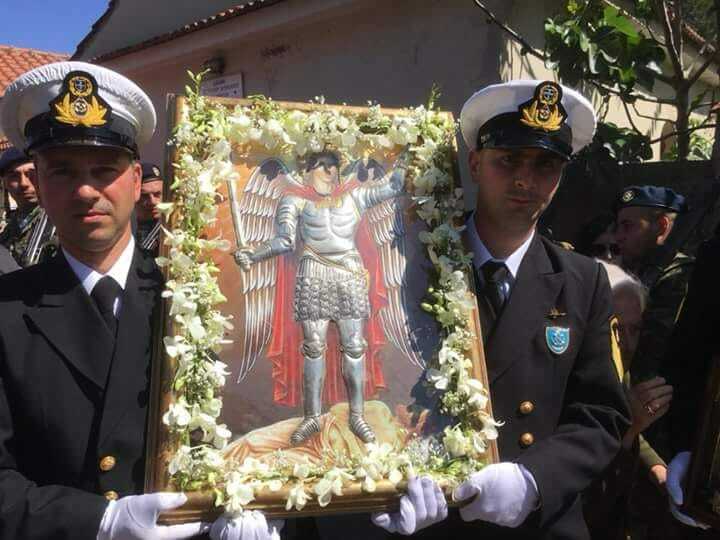 Golden Dawn is coming. Nobody has an interest in that, so that is why they will find a solution,” said Kotzias, highlighting the far-right political party that is the third largest in parliament.